Grab your latest book review (or current read) and come up with a great recipe that has something to do with the characters, setting, items, etc in that book. For examples, see any of my Tasty Tuesday posts. You can post your recipe and book on your blog if you want to, or just leave a creative idea in the comments below(you can make the recipe and post a pic too, but not required). Feel free to grab the above badge and put it on your post(just right click and save the badge). Add yourself to the McLinky. Please try to visit at least a few other blogs that are listed. 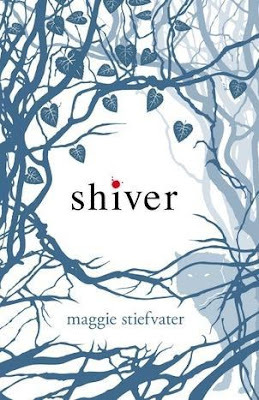 Shiver by Maggie Stiefvater is a delicious read, the perfect blend of fantasy and realism. The prose ebbs and flows with the emotions of the characters until it reads like carefully crafted poetry. Maggie not only expresses herself well through the written words, but she is a musician and an artist as well. 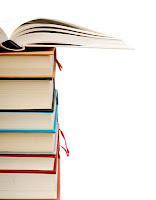 Check out the book trailer she composed and created here. Grace spends her winters watching her backyard for the yellow-eyed wolf who rescued her from his pack when she was a child. The connection is mutual; the wolf keeps watch over her from the edge of the forest. Grace feels a strange longing to be with the wolves. 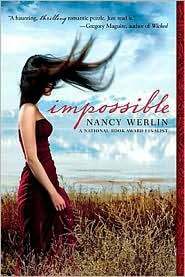 When a tragic accident occurs and a boy from Grace’s high school is killed by wolves, the town erupts in anger and threatens the pack. Grace rescues Sam and she senses a connection that is more than the similarity of his wolf-like yellow eyes. Could this boy be her beloved wolf? Sam has little time left to spend with Grace. Winter is creeping closer and with the cold he could lose his humanity, and Grace, forever. Suspense is high as Grace and Sam battle issues of neglect and betrayal as they race to find a cure that will keep them together. Questions loom in the background of the story. Why did Grace escape transformation when she was bitten, as a child? What will happen to Sam’s wolf family if he leaves? How can they deal with the disregard and abandon from their parents? And the largest question of them all: will they be able to find a way to stay together? I have to say that I was taken in by the striking cover. The chilling winter milieu and cutting emotions of the story are reflected in the stark cutouts on the cover. Even the print inside the book is a frosty grey. Shiver is the perfect contemporary fantasy. The relatability of the characters brings the fantasy into our lives and leaves us asking if the story really happened. I love that the story is told from both Grace and Sam’s point of view. The dual view gives us a full view of what is as stake and allows us to feel the depth of the characters. Sam is a quiet book-lover, heart-breakingly vulnerable and courageous. Grace is intelligent and willing to take action. The two make a compelling and believable couple, one that I can’t wait to read more about. It is easy to fall in love with Sam and get caught up in their longing for each other. I love that I don’t think of the creatures as werewolves, but simply as wolves. 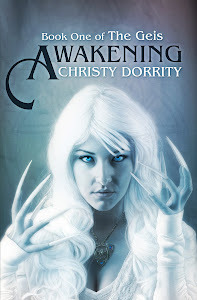 That sets this book apart from the flood of vampire and werewolf novels on the market. The brother/sister relationship between Isabel and Jack added depth and clarity to the theme of betrayal in the novel. I was surprised by the developments that happened between the siblings and Grace & Sam. It was hard for me to relate to Grace at first. I did not understand why she would obsess over a wolf in her backyard. Her parents were neglectful and distant, so I suppose that she found comfort in the wolf, but it took me awhile to warm up to Grace. I would have enjoyed spending more time with the build-up of Grace and Sam’s relationship. It seemed to me that we only got to catch a glimpse of the bond they share before they were torn by external forces. I give Shiver a five star rating because it has just the right amount of romance, woven in with truths that left me thinking about the book long after I read the last page. Shiver is followed by Linger, book number two in the “Wolves of Mercy Falls” series and will be released on July 20, 2010. 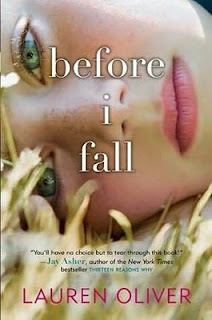 The last book in the trilogy, titled Forever, is slated for release in July 2011. Wings by Aprilynne Pike is not your standard fairy tale. This YA fantasy is a twist on the traditional views of fairy folk. I was attracted to this book because it's in the same genre and category that I like to write in. The book started right into Laurel's life and we encounter David (love interest #1) on the second page. From there we travel with Laurel through the life-changing discoveries that about herself and her family. The author has an easy reading style and I found myself wanting to pick the book up and read whenever I got a chance. I have to say that Tamani (love interest #2) held very little appeal to me. I just couldn't get over the whole leprechan image that he conjured up in my mind. Because of that, the love triangle held little angst for me. Being a big fan of Celtic mythology, I was intrigued with Laurel's background and the history of her people. The treatment of the mythology in this book didn't feel authentic. The use of King Arthur and the City of Avalon, were a bit corny for my tastes. I am expecting book 2 to explain more of her heritage. Overall, I gave the book four stars. The premise was original, the characters felt alive and I did think about the book while I went about my day.